Australian mineral exploration firm Lindian Resources Limited announced yesterday the granting of a trio of bauxite ore mining tenements at the Lushoto Bauxite Project in northeast Tanzania. Per Lindian’s press release, tenements PL 11176/2017, PL 11177/2017 and PL 11178/2018 cover an area of 20.5 mi2 and encompass the high-grade alumina low silica Magamba Bauxite Deposit. Lindian says the reception of these permits paves the way for more intensive exploration of the area as well as allowing it to devote more time and capital to the project. The permits will also allow the company to continue talks with prospective farm-in and strategic offtake partners. With sampling programs already complete, Lindian says it is now prepared to carry out a detailed exploration of the area oriented at defining a JORC-compliant resource. Lindian Resources chairman Asimwe Kabunga said the granting of the tenements in question opens the door to the firm’s further development of a significantly valuable bauxite play. “This is an outstanding development for the company and the granting of these highly prospective bauxite licences adds considerable value to the its portfolio. “We have wasted no time, with exploration work due to commence this week, and a low cost, high impact auger drilling programme also scheduled to be undertaken this quarter. According to geologists, the Lushoto Bauxite deposit is the result of deep weathering of exposed metamorphic rocks of the Mozambique Belt in the Usambara Mountains. The deposit was first identified in 2003 and contains bauxite mineralization of between 40 and 60 percent Al2SO3. The company says a sampling taken last year shows an average of 54 percent alumina and less than 1 percent silica. 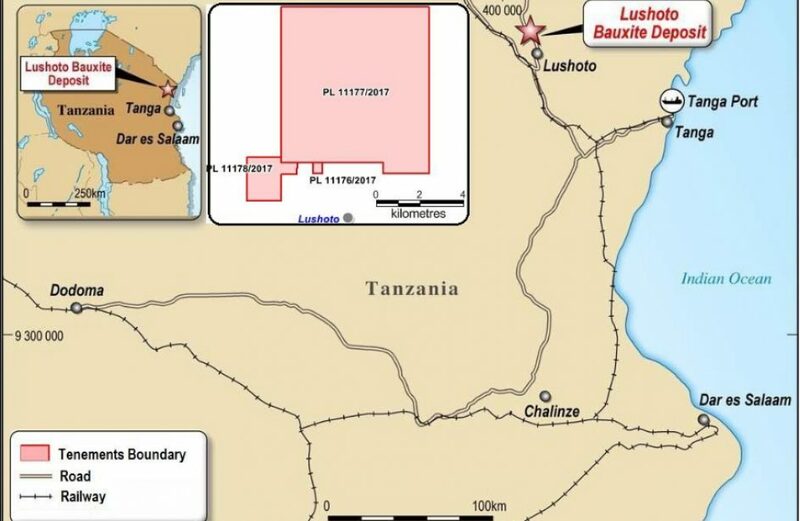 Based in Perth, Lindian owns several mining licenses for gold in two outcroppings in Tanzania in addition to the tenements just granted for the Lushoto Bauxite Project.